Spring and summer rolls are my absolute favorite thing to order off of any Thai or Vietnamese menu. Every restaurant has their own spin on the recipe! Textural, flavorful, and fresh, this spring roll salad gives you the ultimate crunchy snack or side dish. Cut tofu into 1/4″ x 1/4″ x 1/2″ slices. Wrap in a kitchen towel or paper towel and place under something heavy to press. After about 10 minutes, place the pressed tofu in a bowl and drizzle with liquid smoke and soy sauce. Allow to sit for 3-4 minutes, then drain. Add vinegar, soy sauce, peanut butter, and Sriracha to a large bowl. Whisk together until the peanut butter is fully incorporated and the mixture is smooth. Next, slowly add the oil while whisking, a few drops at a time, until the dressing looks uniform. Seed and thinly julienne the cucumber. Peel and julienne the carrots. You can also use a large hole cheese grater for finer shreds. 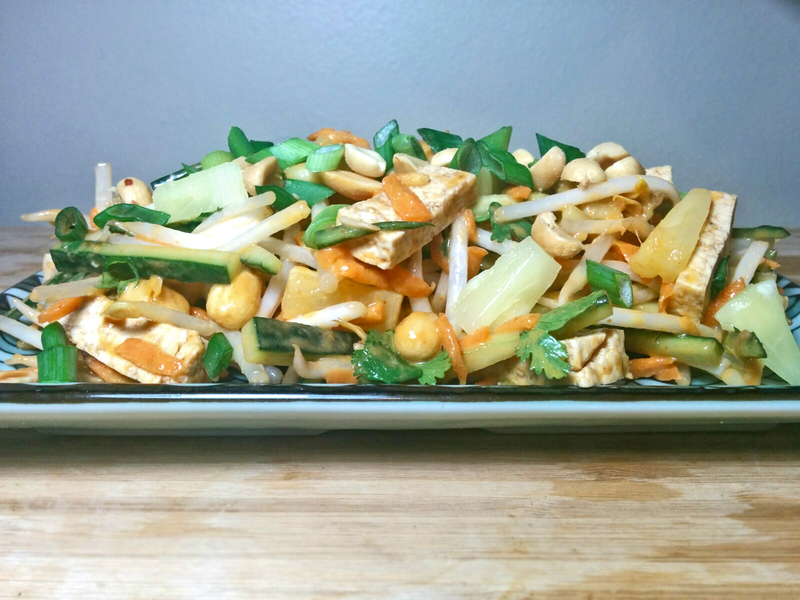 Add bean sprouts, cucumber, carrot, pineapple, 1/2 the peanuts, tofu, and cilantro to the bowl with dressing and toss or stir to coat. 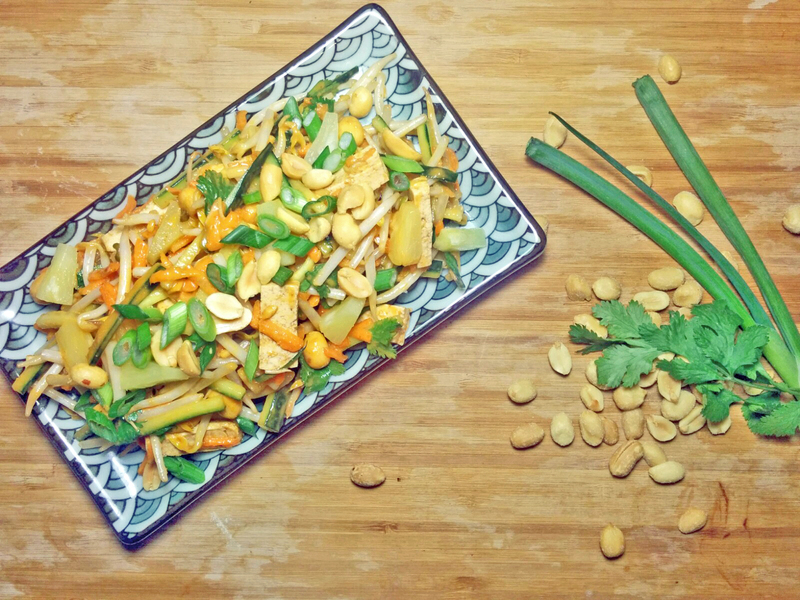 Plate and top with remaining peanuts and green onions.